Manufactured in accordance with AFS specifications, our Mould Hardness Tester is used to determine surface hardness of green sand mould. 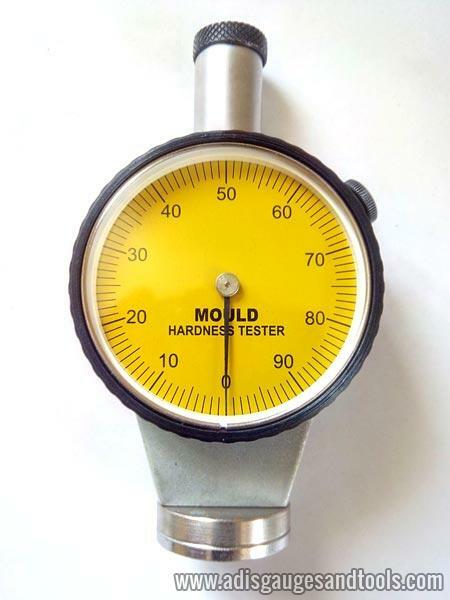 We are reckoned among the prominent Manufacturers and Suppliers of Mould Hardness Tester. The Hardness test can be performed within seconds; user simply presses the tester against the mold surface and notes reading on the dial. A 1/2 in. (12.7 mm) radius ball contact point is loaded with a spring pressure of 980 g. The softer the mold surface, the greater the penetration into the mold. A mold offering no resistance to the contact point would have a zero reading and one having hardness capable of preventing penetration would read 100. Net Weight : 205 gm.